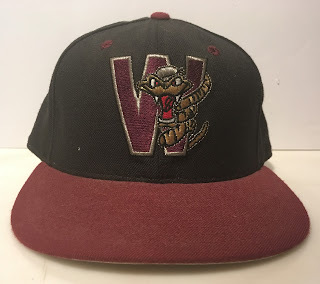 1998 Wisconsin Timber Rattlers - Fresh Fitted Friday!!!! Answer honestly: are y'all getting sick of reading about these hats from The Great eBay Haul by now? I ask only as I've got many, many weeks worth of size 7 1/4 hats that I want to write about...and trade/sell off. Maybe I need to spice it up a little which is why I'm thinking of communicating this week's Wisconsin Timber Rattlers cap in Parseltongue! What's "Parseltongue" you ask? According to the Harry Potter Wikia page, Parseltongue is the "language of serpents...and those who can converse with them". This is a really good idea folks! Also, let's pretend the "W" behind the snake in this cap logo stands for "Wizard" rather than "Wisconsin"! Oh you don't want to have fun? Fine, I'll just show you some interior crown photos of this vintage gem which I basically decided to feature today because it has a maroon brim and black crown like last week's Williamsport Crosscutters cap. Aren't you glad you know this? 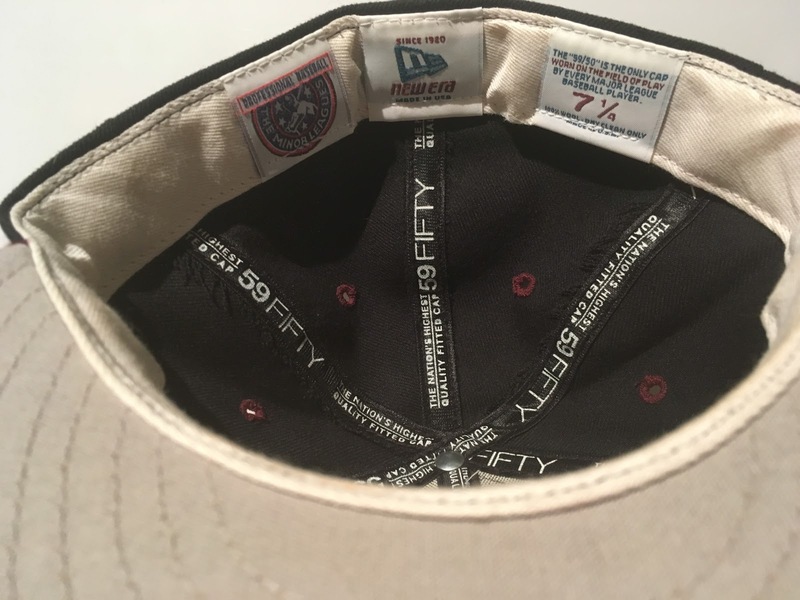 Also, did you notice in the photo above the cap's crown has no New Era flag. This means it's really got some age on it! The sweatband tags and satin taping are late 1990's/early 2000's all the way but the lack of a New Era flag on the crown says it's from 1998 at the latest. 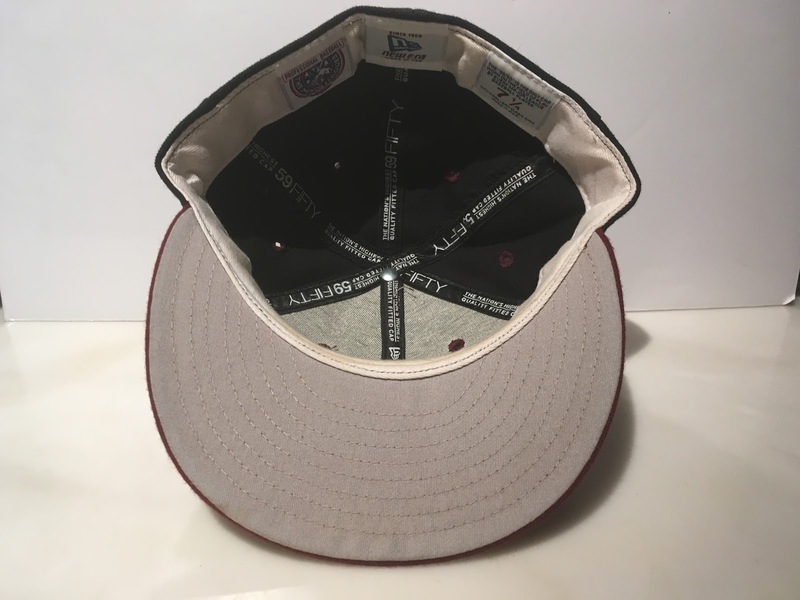 I found some Timber Rattlers cards online from 1999 that showed caps without the New Era Flag, although enough cards had the flag to help me conclude that this cap is from 1998. I'll be back next week with another cap from The Great eBay Haul but just as a reminder, if you've got to own this week's cap (size 7 1/4) - or any previously featured caps from the haul - and you have an interesting-ish and fresh-ish fitted cap sized 7 3/8 to 7 5/8 to trade, please reach out with an offer. And if it's not a fitted, a certain snapback might work too!